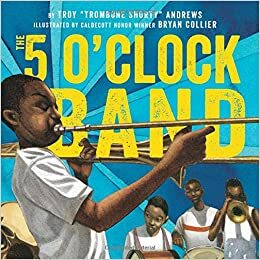 Summary: In this companion book to Trombone Shorty, Troy Andrews tells the story of a day he forgot to meet his band for their daily performance through the streets of New Orleans. He wanders through the streets, fearing he may not have what it takes to become a great bandleader. Along the way he meets musician Tuba Treme, chef Queen Lola, and Big Chief from the Mardi Gras Indians. Each one gives Shorty advice about what it takes to be a leader: respect for tradition, love, and dedication. When he finally catches up with his band, Shorty tells that them that he’s learned that they have what they need to be a success. They invite him to take the lead, and off they go, playing “When the Saints Go Marching In” and parading through their neighborhood to the delight of their fans. Includes author’s and illustrator’s notes with additional information about the people and places in the story. 40 pages; grades K-4. 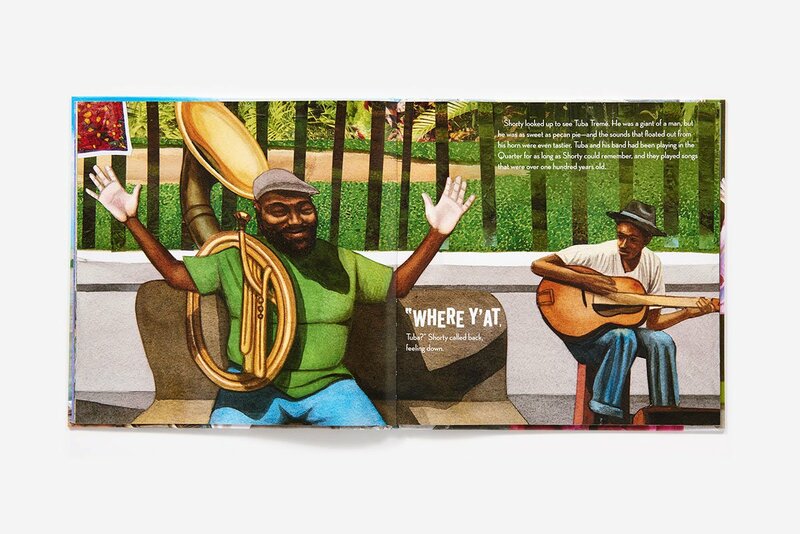 Pros: Another winning effort by Troy Andrews and Bryan Collier that conveys Andrew’s love for music and his hometown of New Orleans. Cons: The story was a little long and rambling.